Dominic is the Clinical Director of the Acupuncture Department. He is Board Certified in acupuncture and has treated thousands of patients over the past 17+ years with a variety of health issues, diseases, and difficult to treat chronic pain and health conditions. 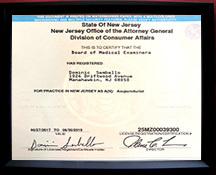 He holds a license to practice acupuncture in the state of New Jersey and Pennsylvania (where he was raised). 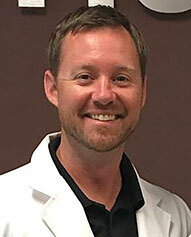 After graduating from West Chester University of Pennsylvania with a Bachelors Degree in Sports Medicine in 1997, he attended and graduated from the Pacific College of Oriental Medicine (PCOM) in San Diego, California. Pacific College is the largest and one of the most well respected colleges in the United States for Acupuncture and Chinese Medicine. As part of his education he was also formally trained in Chinese Herbal Medicine which is an important aspect of his practice. He also had the distinct pleasure of training with some of the most well- known and well-respected experts in the United States and the world. 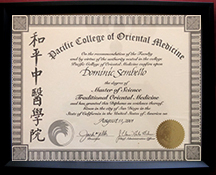 Some of his post graduate training includes Advanced Acupuncture Pain Management Techniques, Electro-Acupuncture Techniques For Pain Relief, Treatment of various Women’s Fertility and Health Issues, and Orthopedic Acupuncture and Sports Injury Rehabilitation to name just a few. He has dedicated his professional career to helping patients’ find safe, effective, and innovative treatment options that get results! In today’s world, you must be open to the fact that standard treatment options alone are often times simply not enough. He uses a combination of acupuncture, chinese herbal medicine, cold laser, electro-therapies, infrared heat, cupping, nutritional supplements, and more to make his comprehensive approach the most effective treatment option for those who seek his medical care! 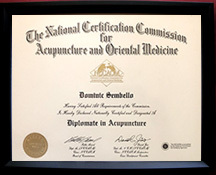 Dominic also serves on the Board of Directors as the Vice President of Pennsylvania for the National Guild of Acupuncture and Oriental Medicine (NGAOM). The National Guild of Acupuncture & Oriental Medicine is a professional medical society and an Office for Professional Employees International Union (OPEIU), affiliated with the AFL-CIO. Our mission is to develop and maintain scientifically based standards of practice for Acupuncture and Oriental medicine and to advocate for legislation and increased access of care thru the National AFL-CIO to assure our inclusion as primary providers of Acupuncture and Oriental medicine in the nation’s healthcare system.